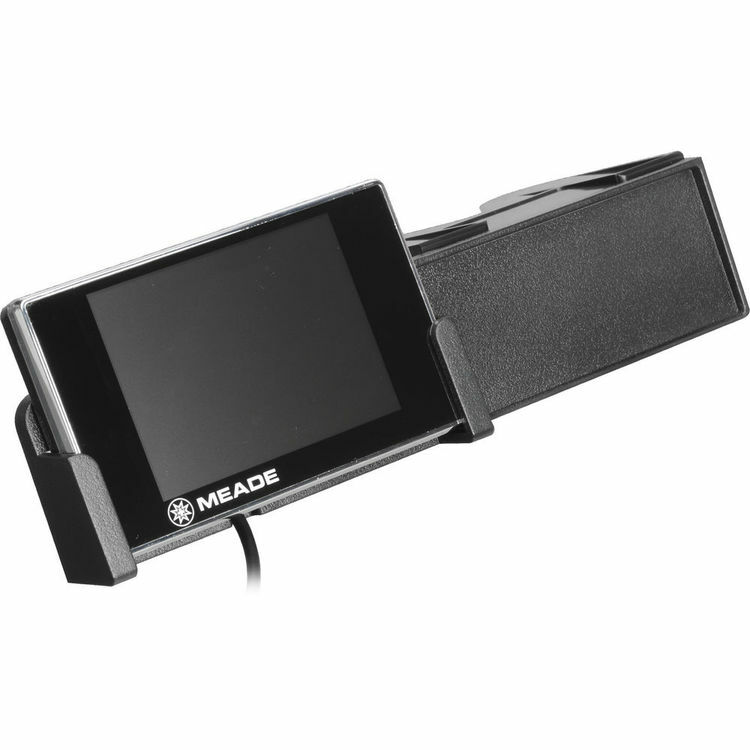 The LS 3.5" Color LCD Video Monitor from Meade is designed for use with Meade's LS 6" LightSwitch telescopes. It plugs directly into the telescope's integral camera, and it displays video, stills, and menus clearly. The monitor is attached to the telescope via the mounting bracket that fits under the telescope's keypad holder, and the video cable. Power is supplied from the included battery pack. Both the telescope and the monitor can be powered with one of Meade's universal power supplies by with the included Y-cable, or with Meade's optional cigarette lighter adapter #607. Box Dimensions (LxWxH) 8.0 x 2.5 x 1.5"